A lighting piece from Sabine Marcelis’s VOIE light series #1, made from neon and cast polyester resin. A vertical piece from Sabine Marcelis’s VOIE light series #1. A smaller lighting piece from Sabine Marcelis’s VOIE light series #1. Multiple lighting pieces for an exhibtion at Project Rotterdam. Featured in the Project Rotterdam exhibition, Marcelis designed a new piece for her Dawn collection. 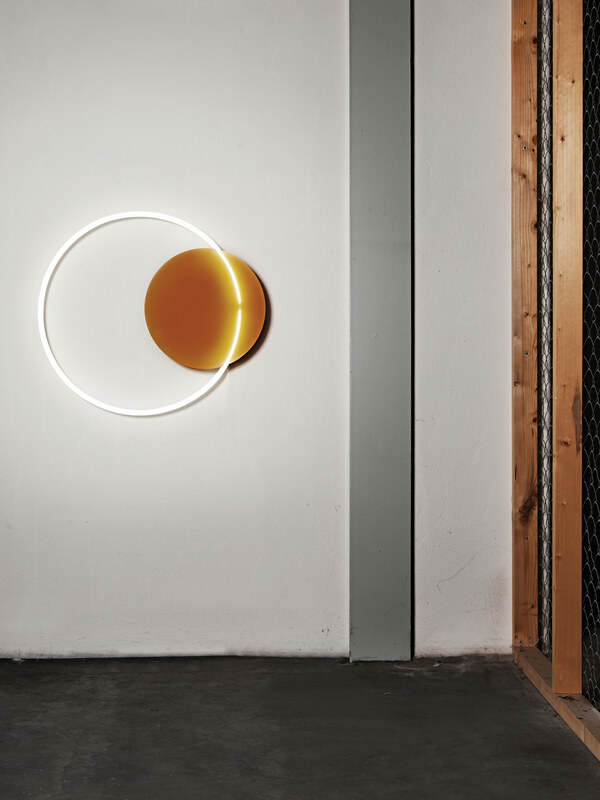 The collection continues from the VOIE Light Series #1 by utilizing neon tubes and cast resin, but in this interation the forms are more sculptural. Lighting piece in collaboration with Brit van Nerven.